Microsoft’s CEO has said artificial intelligence has the potential to “change the trajectory of healthcare” if it can be scaled successfully across the NHS. Speaking at Microsoft Future Decoded at London’s ExCel exhibition centre on 1 November, Satya Nadella suggested that readily-available machine learning tools could “change the way health is given”. However, the chief executive said this would only happen if people used the digital tools at their disposal to fundamentally change ways of working. “It’s not about the whizz-bang technologies, but the people behind it who take this technology and translate it into real action,” Nadella said. 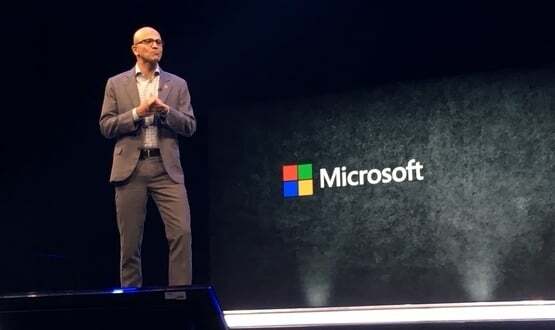 Nadella referenced Microsoft’s partnership with South London and Maudsley NHS Foundation Trust (SLaM), which has been using Microsoft Teams and the company’s business analytics tool, Power BI, to improve bed management. SLaM has also developed a patient record system based on Microsoft’s Azure cloud platform. Nadella stressed the importance of ensuring that new technological solutions to healthcare challenges could be made more widely available. “Fundamentally, 10% of GDE (gross domestic expenditure) in the UK goes into healthcare,” said Nadella. Microsoft’s head honcho also touched on the importance of privacy and security within the AI landscape. “GDPR as a piece of regulation is a great start. We [Microsoft] have done a lot of work to become compliant,” he said. “We think of it as how people should think of privacy worldwide. In an inevitable reference to 2017’s WannaCry incident, Nadella said: “The ability to mitigate any ransomware that enters [the network] needs to be changed [and] translated into products can be used by any trust, anywhere. Another topic cited as a “major consideration” by Nadella was artificial intelligence and ethics. Specifically, the Microsoft CEO highlighted inherent human biases that risked being picked up by machine learning models. “The challenge is the biases in our language will be picked up,” Nadella said. “We are building de-bias for AI. This is some of the state-of-the-art work that we have to do [so] you can deploy models that are ethical, fair, have robustness and make you accountable. Satya Nadella is a Genius. He said Windows 10 would become the most secure Windows ever. He has proved to be a man of his word. The greatest move was the acquisition of Israeli Technology especially Hexadite. Windows Defender now Security rapidly rose in the Tests. I echoed his comments and believed in him. No worries now just relax and enjoy Windows. I can’t now my PC has broken I’m a Pensioner and can’t afford a new one I borrowed my Grandsons Ipad to write this blog. I hope he sees this and gets me a new one. You live in hope. The pair are extending an existing collaboration to include Digital Health Rewired, a two-day conference and one-day exhibition taking place in March 2019.